Scope of Work: This project which had a total duration of 44 weeks was sub divided into two LOTS, the Hopewell Road Rehabilitation and River Defense and the Teviot River Defense. The construction of retaining works (i.e. 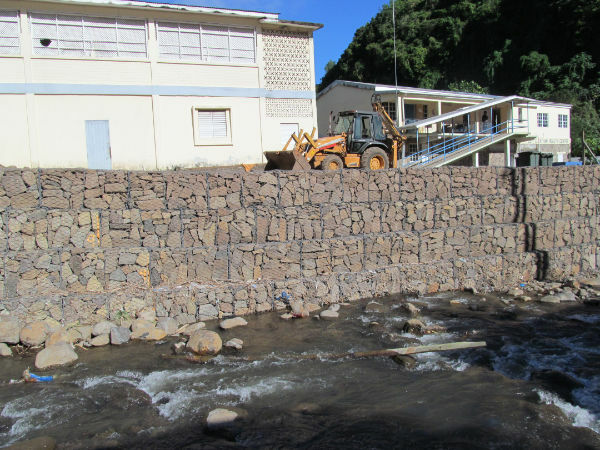 a combination of rubble walls, gabion walls and reinforced concrete block walls to address drainage, erosion, road subsidence and river bank instability problems) were the main features of the project. Sorell Consulting Ltd performed the role of Supervising Consultants.